Hungry for a unique fusion of Japanese and Peruvian origins? Then come out and try Nobu’s special engagement dinner on August 18 and 19 featuring the works of Nobu New York’s Executive Chef Ricky Estrellado and Nobu Manila’s head chef Michael De Jesus. Manila, August 2, 2016 – Nobu New York Executive Chef Ricky Estrellado comes to Nobu Manila to collaborate with the latter’s Head Chef Michael De Jesus for a gastronomic feast that Nobu-fies timeless Filipino recipes with Japanese-Peruvian influences, for a special engagement on August 18 and 19. 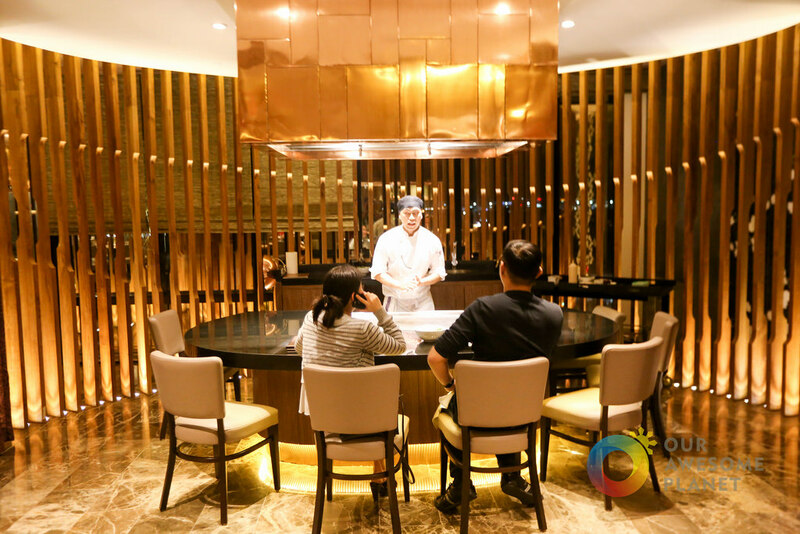 The two-night event highlights the collaboration of two talented Filipino chefs who have both worked with the renowned Chef Nobu Matsuhisa for years. Chef Ricky, who has worked with Nobu for 22 years, is the Executive Chef in New York, overseeing both the Nobu New York in Tribeca and Nobu Next Door along Hudson Street. Chef Michael, a Fil-Am who grew up in the USA, started his nine-year career with Nobu in the Los Angeles restaurant then worked in Nobu Las Vegas, immediately before coming to Nobu Manila early this year. The dinner’s indulgent eight-course menu highlights Nobu-style interpretation of Filipino classic cuisine starting with Sisig Foie Gras on a Gyoza Cone followed by Seared Tuna Kinilaw with Ceviche Gelee and Green Papaya Salad in Shiso Crepe and Lapu-Lapu with a choice of Jalapeno or Matsuhisa dressing. One of Nobu’s signature dishes, Yellowtail New Style, is reintroduced with a green mango salsa while the Spiny Lobster Tempura is served in Miso Sinigang Consomme. The evening’s entrees, Sous Vide Crispy Pata with Amazu Ponzu and Rencon Laing and Beef Short Ribs Kare-Kare Anticucho, proffer a refreshing perspective to the traditional Filipino pork and beef dishes. Before dessert, an array of sushi likewise incorporates local cooking methods and ingredients, such as Saba Tinapa Style, Local Tuna Toyomansi, Whitefish Sharsado Style, Salay Salay Paksew, and Mixed Seafood Kilawin Taco. The Nobu-Style Water Halo-Halo offers a delightfully sweet ending to the dinner’s full-on experience. Ricky’s passion for cooking began in the Philippines. As a very young man he worked with a catering company that attracted a diverse clientele, including Malaysian Airlines and United Airlines. Ricky’s ambition led him to the United States, where he graduated first in his class at the New York Restaurant School in 1994. After a short stint in the acclaimed Montrachet restaurant in Tribeca owned by restaurateur Drew Nieporent, Ricky was asked to join Nieporent’s new Nobu New York kitchen, where he was drawn to Nobu’s new-style Japanese cuisine that has won virtually every major culinary accolade. Ricky’s deft touch has charmed the palates of the most discriminating diners in Nobu New York and he soon rose up the ranks from prep cook to Chef de Cuisine. He likewise trained the culinary staff at Nobu Next Door in 1998 and Nobu Las Vegas in 1999. Since 2005, he has been overseeing the hot kitchens of Nobu New York and Nobu Next Door as Executive Chef. Michael joined City of Dreams Manila in January 2016. He helms Nobu Manila’s kitchen as the Head Chef of the restaurant, bringing with him a wealth of nine years’ experience in Nobu restaurants, where he worked himself up to becoming Sous Chef of Nobu Los Angeles and Chef de Cuisine in Nobu Las Vegas. He has been passionately creating delightful dining experiences for over 20 years. 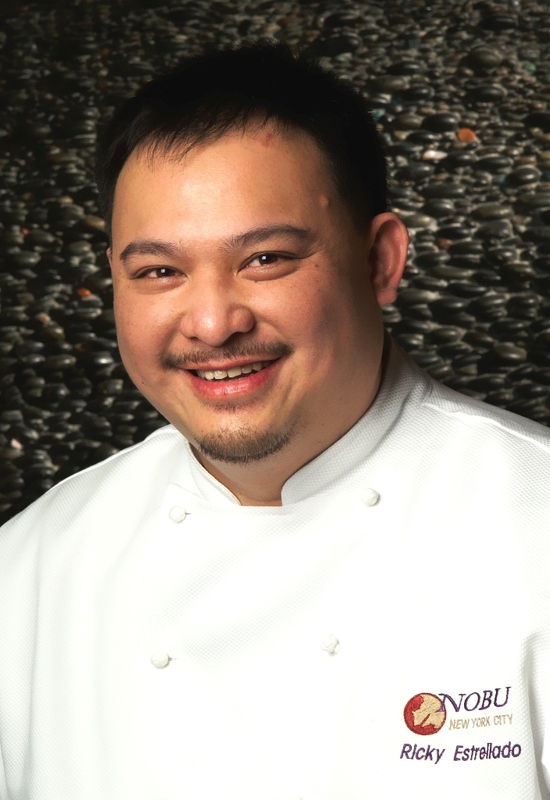 His current position at Nobu Manila allows him to infuse Filipino ingredients and methods into Nobu-style dishes, creating exceptional and unique dishes for both the foreign and Filipino palates. Interested patrons can call 800 8080 or e-mail guestservices@cod-manila.com for inquiries and reservations. Nobu, the world renowned Japanese restaurant recognized for pioneering a New-style Japanese cuisine, started as a business partnership in 1994 between Chef Nobu Matsuhisa and his partners: actor Robert De Niro, producer Meir Teper, and restaurateur Drew Nieporent. Originating in New York as the flagship restaurant, the Nobu brand is now an empire that spans across five continents, with international locations in London, Tokyo, Hong Kong, Beijing, Milan, The Bahamas, Melbourne, Dubai, Cape Town, Moscow, Mexico City, Budapest, Perth, Monte Carlo, Kuala Lumpur, Manila, and United States locations in Las Vegas, Malibu, Miami Beach, Dallas, San Diego, Los Angeles, Waikiki, Lana’i. The global Nobu enterprise recently expanded to include the first ever Nobu Hotels in Las Vegas and Manila, with anticipation for an exciting line of luxury hotels to follow. Nobu restaurants, simultaneously a visual and culinary delight, continue to receive unprecedented praise and rave reviews from publications such as the New York Times, the Zagat Surveys, and the Michelin Guides. The restaurants’ popularity and devoted following are a tribute to Chef Nobu Matsuhisa’s innovation in traditional Japanese cooking. For additional information, please visit www.noburestaurants.com. City of Dreams Manila marks the formal entry of Melco Crown Entertainment into the fast-growing and dynamic tourism industry in the Philippines. The integrated casino resort at Entertainment City, Manila Bay, Manila, officially opened its doors to the public in February 2015 and is operated by Melco Crown Philippines. The dynamic and innovative resort complex, located on an approximately 6.2-hectare site at the gateway to Entertainment City, includes the ultimate in entertainment, hotel, retail and dining and lifestyle experiences with aggregated gaming space, including VIP and mass-market gaming facilities with approximately 264 gaming tables, 1,535 slot machines and 114 electronic table games. The integrated resort features three luxury hotel brands: Crown, Nobu and Hyatt, and distinctive entertainment venues, including the family entertainment center DreamPlay, the world’s first DreamWorks-themed interactive play space; CenterPlay, a live performance central lounge inside the casino; and Chaos & Pangaea nightclubs situated at the Fortune Egg, an architecturally-unique structure, with creative exterior lighting design and an iconic landmark of the Manila Bay area. City of Dreams Manila delivers an unparalleled entertainment and hospitality experience to the Philippines and is playing a key role in strengthening the depth and diversity of Manila’s leisure, business and tourism offering, enhancing its growing position as one of Asia’s premier leisure destinations. It has been developed to specifically meet the needs of the large, rapidly growing and increasingly diverse audience of leisure and entertainment seekers both in the Philippines and those visiting Manila from across the Asia region and around the world. For additional information, please visit www.cityofdreams.com.ph. Melco Crown (Philippines) Resorts Corporation, with its shares listed on the Philippine Stock Exchange (PSE: MCP), is a subsidiary of Melco Crown Entertainment (SEHK: 6883; NASDAQ: MPEL). It has developed City of Dreams Manila, a casino, hotel, retail and entertainment integrated resort, which has three luxury hotels each with two towers, numerous specialty restaurants and bars, gaming and retail facilities, exciting entertainment venues including a family entertainment center, and a multi-level car park. For more information about Melco Crown, visit www.melco-crown.com.